Another preview build of upcoming Windows 10 April 2019 Update Version 1903, codenamed Windows 19H1, has been released to Windows Insiders in the Fast ring. The new build is Windows 10 Insider Preview build 18356. As with all recent Windows 10 Insider Preview builds released, Windows 10 Build 18356 contains no new features, except several bug fixes. 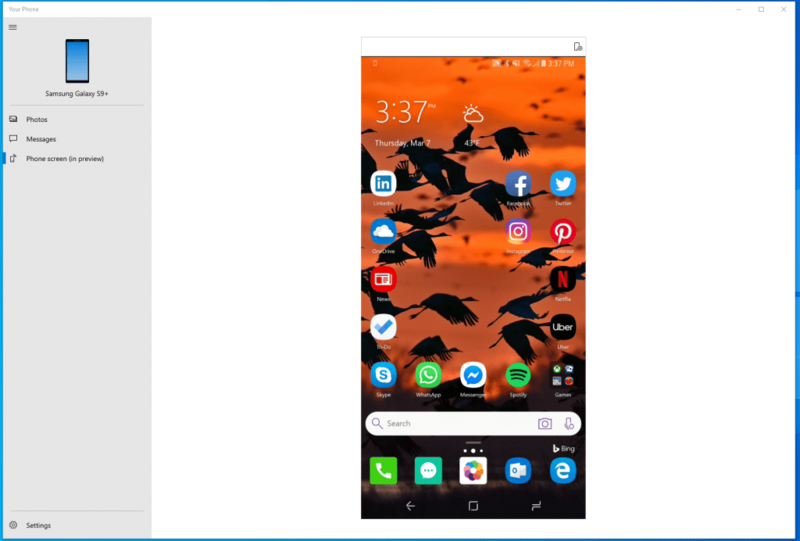 Though no new features are added to the operating system, Microsoft does roll out an updated version of “Your Phone” app, which features “phone screen” that allows you to mirror and control your Android phone’s screen directly on your PC without having to even touch your phone. Microsoft explains what’s requirement for phone screen of Your Phone to work, and also the changelog for Windows 10 Build 18356. No ISO images are released for Windows 10 build 18356 yet. To download and install Windows 10 Build 18356, join Windows Insider program and set to receive update in the Fast ring. Then, check for updates in Settings -> Update & Security -> Windows Update. Most of time, the update will install itself automatically. Update 4: Microsoft released KB4496796 that fixes the issues that prevents Windows 10 build 18356.16 to upgrade to Windows 10 Build 18362. The update brings the build to 18356.21. Update 3: A small cumulative update brings build 18356 to 18356.16 in Slow ring. Update 2: Windows 10 Build 18358 was released. Update 1: Windows 10 build 18356.1 was released to Slow ring.